Locally-created marketing. Three words that can strike terror into the soul of brand managers and guardians around the world. You’ve invested heavily, both in terms of budget and resource, to come up with a great range of customer-facing collateral. The branding is perfect, the copy is completely on message, the paper weight is just right and the print finish reflects the professionalism of your organisation and the quality of the product being promoted. So why have you just walked past one of your local outlets to see they have stuck a whiteboard outside replete with a hastily scribbled offer and a couple of rapidly deflating balloons attached for good measure? The curse of locally-created marketing has struck again! 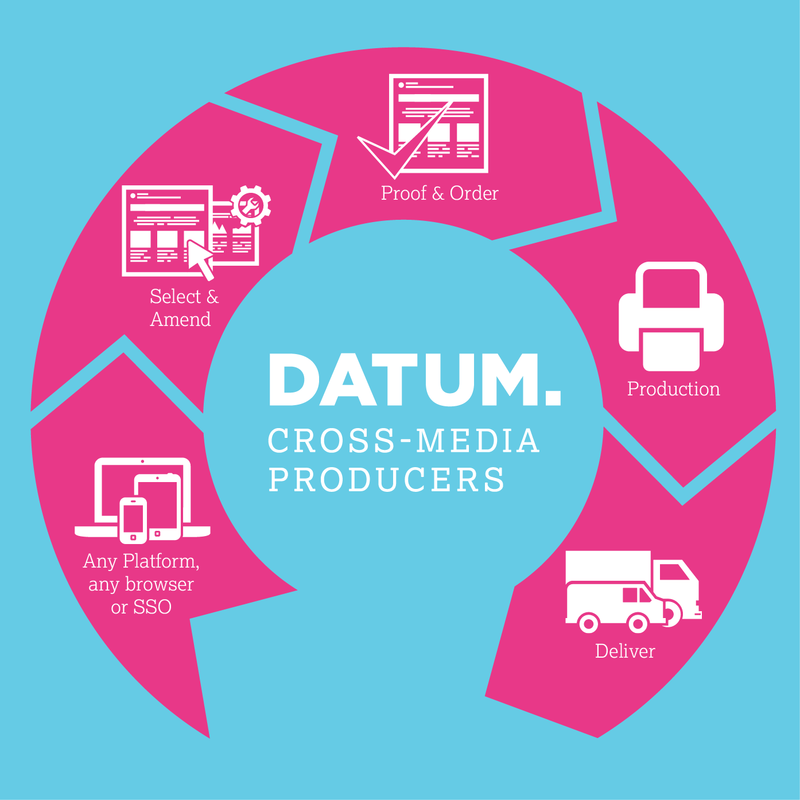 Our aim at Datum is to anticipate our clients’ needs and put in place world class solutions that ensure they get the most return from their marketing activities. 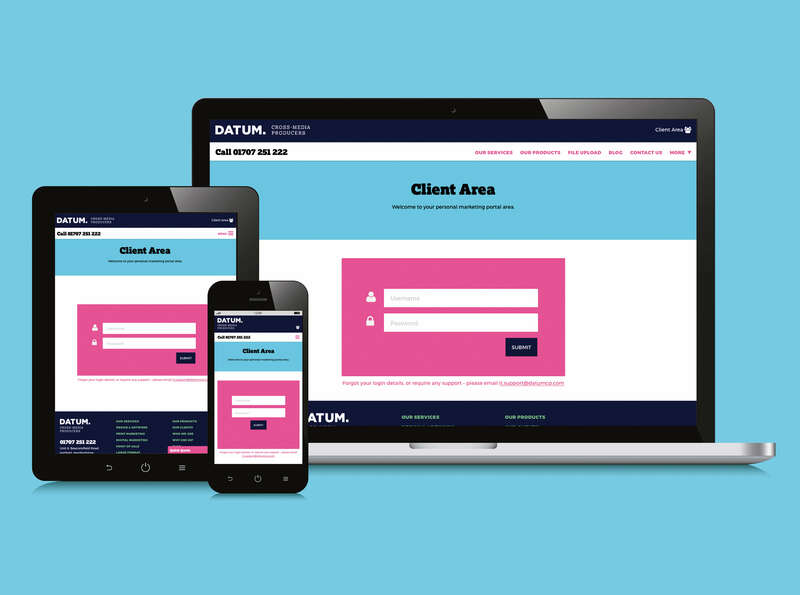 So, we considered how could we put our clients firmly in control of their brand and do away with the perceived need for locally-created marketing, and we hit upon the Datum Marketing Portal. Our vision – a place where our clients could upload and store all their approved assets and where colleagues, no matter where they are in the world or what time of day it is, could select, modify and download exactly the right asset. Firstly, we wanted to make sure we put our Portal clients in control. Tailored permissions mean that only approved users can upload assets to be utilised. We know that not all clients operate in the same way. Some are supporting regional sales staff, some have a nationwide branch network, others are operating a franchise model. So, we designed the Portal to be flexible enough to work in all these scenarios. We can bill specified users for each download if that supports your model or we can put in place spend limits and enforce authorisations to avoid over-enthusiastic ordering. Secondly, we knew that ease of access would be absolutely key. A frequent reason cited for reverting to locally-created marketing is that the local staff don’t know where to look for collateral or assets, or that the head office was located in a different time zone so wasn’t there to respond to urgent requirements. So, we designed the Portal to be software based and hosted by us. No applications to download so no local or corporate IT security challenges to overcome. It’s available 24/7 and it can be accessed from any device. We have even designed it to be able to incorporate third party applications so, for example, Estate Agencies can customise property details and also include a location image from Google Maps. Easy access anytime, anyplace, anywhere. Control and ease of access are great but we knew we had to make sure that convenience, ease of use and speed were core if we were going to get people to adopt to a new way of working. The Portal satisfies these requirements by being highly intuitive to use. 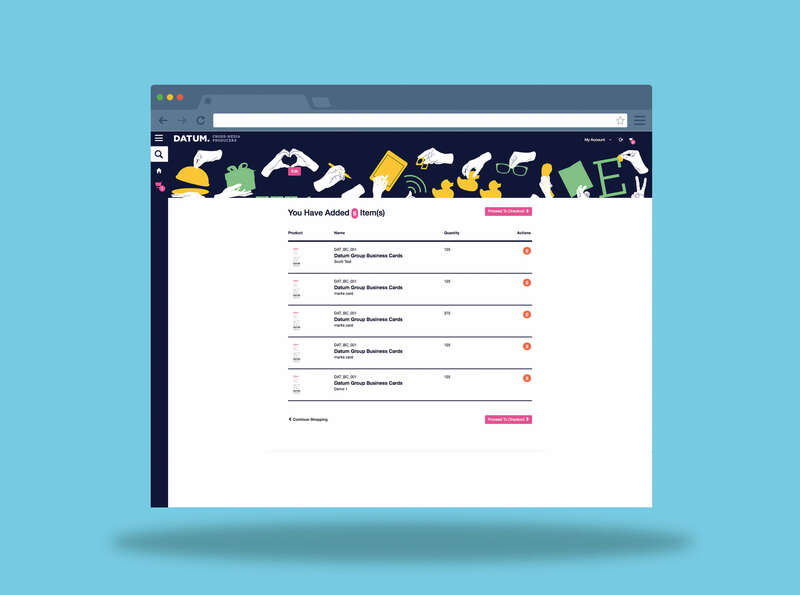 Simple step-by-step processes allow even a novice user to quickly identify the asset they need, customise it as required (and as permitted) and either print it off or order it for rapid despatch. No need to book any studio time. No waiting for head office to source the asset and send it across. Everything is available at the touch of a button. Locally-created marketing is transformed into a customised mirror image of pre-approved collateral. Each and every time. Finally, we wanted to put a layer of visibility into the Portal. We built in reporting capabilities that allow you to analyse which assets are being used and by whom. If a certain size poster is proving unpopular then save time and money by not using those dimensions for a future campaign. If one region is a heavy user of the Portal then capture the best practice and share it with regions that have been slower to adopt. The Portal can even manage stock levels and send alerts at defined trigger points. Control. Ease of Access. Ease of Use. Speed. Visibility. We think you’ll love the Datum Marketing Portal. Don’t just take our word for it. We have already received great feedback from Portal client NxStage. They are a US-based medical equipment provider with a team of sales and business development managers located across Europe. They have been delighted with the efficiencies they have been able to create by allowing their Europe-based colleagues to customise, order and generate both collateral and general promotional merchandise whenever they need it. The challenge of having colleagues across multiple time zones has been mitigated and they are now able to respond to customer opportunities with increased agility. So, whether it’s business cards, brochures, posters, pop-ups or promotional items, the Datum Marketing Portal puts you in complete control. Colleagues have direct access to the assets you want them to be using. No more scribbled messages, no more balloons, no more pangs of terror. Just complete control of your brand.